Design unique product or business ideas easily in 30 mins. 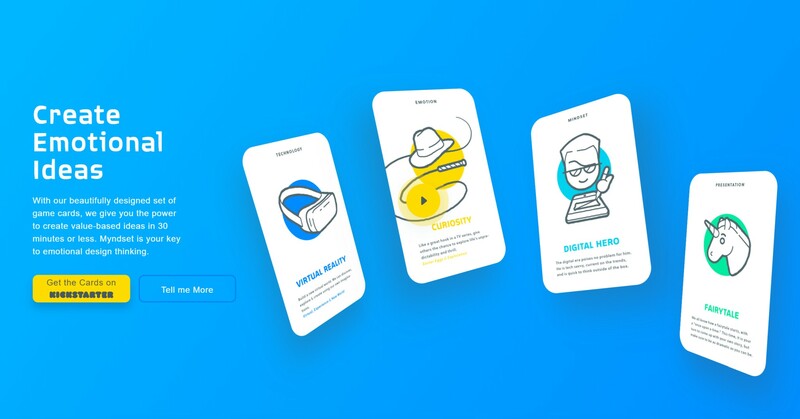 Myndset is a card game and step-by-step method based on the process of design thinking, guiding the user through the process of ideation. Our goal is to empower everyone to solve anything by applying a simple method and create valuable products and ideas.